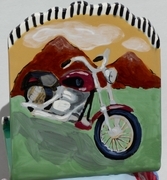 Ride Like the Wind/ Business Card Holder- Approximately 4"wide x 4 1/2"tall x 3" deep. 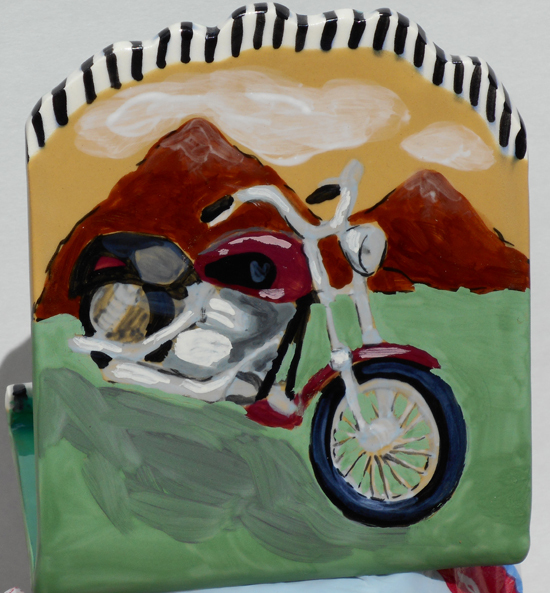 "Ride Like the Wind" is written on the back, but we offer personalizing. Make a good first impression! Display your business cards with style! Click on image to enlarge for details.